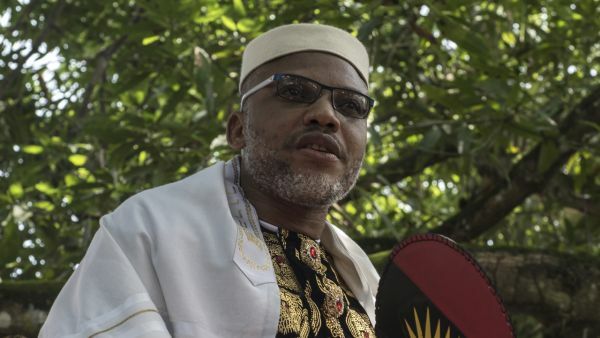 Wife of Nnamdi Kanu, leader of the Indigenous People of Biafra, IPOB, Uchechi, has declared that election won’t hold in the South East in 2019. Uchechi warned that failure to produce the separatist leader, would lead to election boycott in the South East, come 2019. Speaking with BBC Igbo, Uchechi said, “In the next coming election, we need to have that in mind that for us to ever be better, we need to stand up. “Yes, Nnamdi Kanu’s issue should be the number one thing. Where is he? You need to provide him, at least tell us where he is. She also dismissed insinuations that Kanu’s conduct as the leader of IPOB was illegal. “What makes it illegal? Why should that be treasonous? One asking for self-determination. Why is that a crime? It’s not a crime,” she said. Uchechi, who is based in London, had earlier maintained that her husband is in custody of the Nigerian Army.